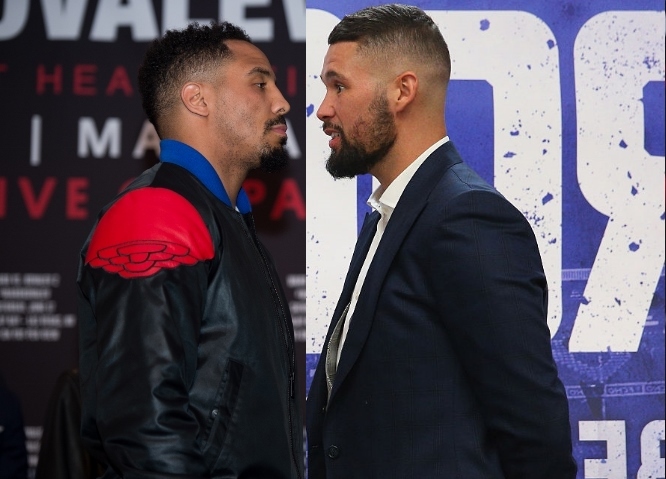 Former WBC cruiserweight champion Tony Bellew (29-2-1, 19 KOs) reveals that there were serious negotiations to make a fight with Andre Ward (32-0,16 KOs) - but their talks fell apart over money. The Liverpool fighter claims that Ward's demands were too excessive. Back in March, Bellew dropped his WBC strap to make a move to the heavyweight division - where he pulled off a huge upset by stopping David Haye in eleven rounds. Bellew was willing to return to the cruiserweight division for a fight with Ward. Ward, who held the WBA, IBF, WBO light heavyweight world titles, would have made the big weight jump. Two weeks ago, Ward - at age 32 - announced his retirement from the sport. Bellew claims the agreement to fight Ward was close to getting done - but the Olympic gold medal winner wanted way too much to make the fight a reality. Once the negotiations with Ward fell apart, Bellew saw the rematch with Haye as the best financial option. That deal was finalized a few days ago, for December 17th at the O2 Arena in London. “Once the Andre Ward fight fell through, I thought there was only one fight for me. I wasn’t willing to wait until Parker and Fury had finished. Even though it was a really close fight, it could have gone either way. I just thought the biggest challenge out there and the biggest amount of respect I’m going to get is fighting David Haye." This is surprising news...to absolutely nobody. [QUOTE=b00g13man;18105446]#WardRuinsLives[/QUOTE] You love hash tagging like it means something here.